A world without Alzheimer's... The first step begins with you. The 29th annual IG Wealth Management Walk for Memories is a family-friendly, 2 km indoor walk in the PATH that begins at the Royal Bank Plaza at Union Station and ends at the Sheraton Centre Hotel. 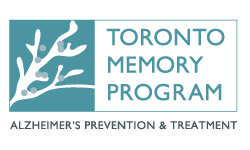 Over 2,000 individuals raise money for the Alzheimer Society of Toronto while honouring those with Alzheimer’s disease and other dementias. Register. Build your team. Set your goals. Tell your story. Fundraise. Raised so far through your fundraising efforts. Be at Royal Bank Plaza by 9:00am for the start of the Walk! Staying over at the Sheraton Hotel Family Night? Join us in the Sheraton Hotel, lower concourse level, Friday night at 6:00pm for Dinner, Activities & a Movie! If you haven’t booked a room yet, make sure to book at a discounted rate of $109+ tax before they are all gone!